Every day there’s a new set of rumors around Apple products, yesterday it was about the new cheaper iPhone with wireless syncing and today it’s about the MacBook Pro 2011 refresh and iPad 3. MacBook Pro 2011 refresh prices, launch due on Thursday, February 24? Up until now the rumors of a MacBook Pro refresh have been mostly speculation, much based on the recent Intel ad that showed a nice looking Mac-like laptop. Now several rumor sites are claiming that the Thursday February 24 will be the release date (which just so happens to be Apple CEO Steve Jobs birthday). Assuming these numbers are accurate, the pricing for the 2011 MacBook Pro’s will be the same as existing models. Some have took this to suggest the 2011 refresh may not feature the dramatic redesign that has been hotly speculated about (including the cool mockup shown above out of Italy). These SKU’s were supplied to 9to5Mac, who likely has a source inside Best Buy, which is an Apple Authorized Reseller. The big question now is if Apple just stuffs new CPU’s into the existing MacBook Pro chasis, will people be disappointed? Initial iPad 2 rumors suggested that the nextgen iPad would get the retina display, but this was later supposedly dispelled now that the device is rumored to be in production. Now, according to an analyst cited by AppleInsider, the high resolution retina display will come to iPad 3 in the form of a whopping 2048×1536 resolution display. If this happens, you’d expect similar displays to come to the Mac platform so that developers can accurately produce and test apps for the ultrahigh resolution. Yea, we initially joked about the iPad 3 rumors considering iPad 2 isn’t even out, but continued discussion of the unreleased product(s) suggests there could be some truth in the hot air. I will be very disappointed if MBP refresh is not a dramatic redesign. I don’t want a superdrive. I want 256GB SSD, MBA style, Sandy Bridge, 8GB RAM, under 3lbs for 13″ at 1600×1050 and under 4lbs for 15″ at 1920×1200. Crossing my fingers! I hate to burst everyones fantasy here, but there is no conceivable way that Apple will introduce a dramatic redesign that resembles the MacBook Air and leave the MacBook Pro 13″ intact. The fact that SKU’s show a 13″ model still in existence, let alone at the same price, tells you that the refresh coming is just going to be internal speed bumps, and possibly SSD options. Like everyone else, I love the way the liquid metal mockup looks, but it’s just not happening this year at these price points. yeah, they cant afford to pay john ives to talk about the new redesign. LOL. 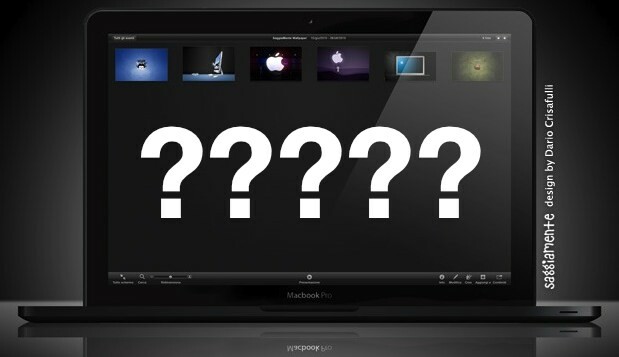 on a more serious note i would like a black mbp, doesnt have to be a drastic change but someone different. after all the same unibody macbook look is getting old. I think it’s more likely to be a quiet update to Sandybridge. Why do a full redesign when they just came out with the new aluminium Air? I believe Apple’s strategy involves the release’s time of Ipad 3 after the firsts months of 2012 and would get the retina display.